These natural crystals of Kunzite are just lovely. Great quality pieces and great colour ! Kunzite is a member of a mineral group called the Spodumene Group. Kunzite is the name given to the pink variety of Spodumene. The name given to the pale green or straw green variety of Spodumene is Hiddenite. Exactly the right colour pink and with that "glassy" feel to them as well. Well formed crystals with nice striations on them. Kunzite strengthens the circulatory system and the heart muscle. It is also helpful in relieving complaints associated with the nerves, eg, trapped nerve. sciatica, neuralgia etc. It generally dissolves tension in the heart area and can help with the lungs, nervous disorders and joint complaints. 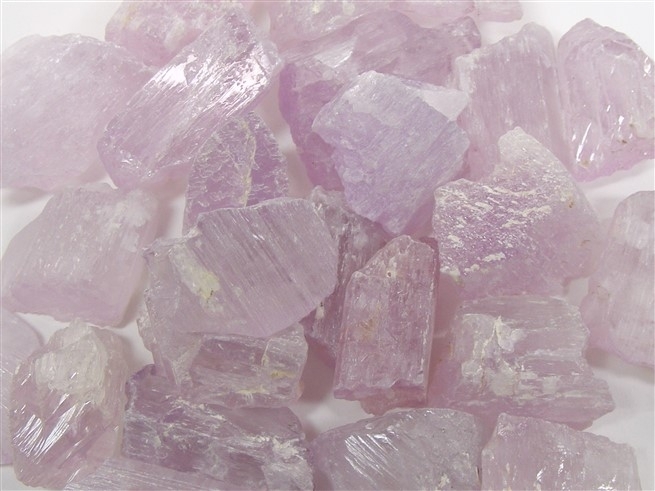 Kunzite is very much a stone of Uplifting and of Love. It promotes Love in all of its forms, unconditional love, romantic love and self love. Indeed Kunzite can purify the heart and fill it with love and peace. It is an excellent shifter of past emotional debris and is said to be able to "heal a broken heart". It helps us to communicate more effectively. It is an extremely useful stone for helping you to cope with stress and the pressures that life puts upon us all. Kunzite is a mood lifting stone that can calm our anxiety, help with depression, help with our self expression and dispel unwanted mental influences from our aura. It enhances our creativity, encourages us to remember things and produces loving thoughts. 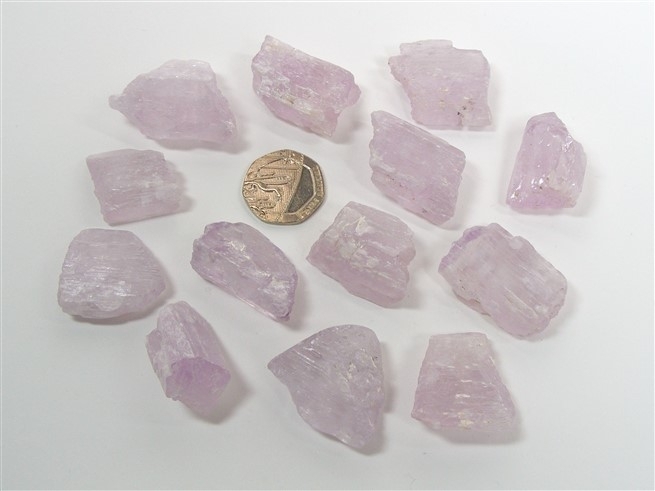 Kunzite helps to induce deep meditative states. It encourages dedication to that which you believe in and teaches us humility. Kunzite also shows us how to give way without being untrue to ourselves.